In this study a non-linear weighted sum model is proposed to rank countries based on economic factors. This ranking problem could be new and useful as most of previous researches rated countries not rank them. The countries are ranked from the best to the worst one by their score obtained by the model from credit point of view. As an advantage of the model, it is solvable by an analytical solution method manually instead of using optimization software. The analytical solution is useful for managers and decision makers to apply the model easily. The obtained ranking is compared with Moody’s rating to discuss the efficiency of the model. Abad, P., & Robles, M.D. (2014). Credit rating agencies and idiosyncratic risk: is there a linkage? Evidence from the Spanish Market. International Review of Economics and Finance, 33, 152-171. Afonso, A. (2003). Understanding the determinant of sovereign debt rating: Evidence for two leading agencies. Journal of Economics and Finance, 27, 56-74. Afonso, A. (2010). Long-term government bond yields and economic forecasts: evidence for the EU. Applied Economic Letter, 15, 1437–1441. Allen, L., & Saunders, A. (2003), A survey of cyclical effects in credit risk measurement models, Technical Report, BIS Working Paper 126. Amira, K. (2004). Determinants of sovereign Eurobonds yield spreads. Journal of Business Finance & Accounting, 31, 795–821. Baldacci, E., & Kumar, M. (2010). Fiscal deficits, public debt and sovereign debt yields, International Monetary Fund Working Paper 184. Ballı, S. & Korukoğlu, S. (2014). Development of a fuzzy decision support framework for complex multi-attribute decision problems: A case study for the selection of skilful basketball players. Expert Systems, 31, 56–69. doi: 10.1111/exsy.12002. Chen, S-Y., & Lu, C-C. (2015). Assessing the competitiveness of insurance corporations using fuzzy correlation analysis and improved fuzzy modified TOPSIS. Expert Systems, 32, 392–404. doi: 10.1111/exsy.12099. Cifter, A., Yilmazer, S., & Cifer E. (2009). Analysis of sectorial credit default cycle dependency with wavelet networks: Evidence from Turkey. Economic Modelling, 26, 1382-1388. Eyssella, T., Fungb, H., & Zhanga, G. (2013). Determinants and price discovery of China sovereign credit default swaps. China Economic Review, 24, 1-15. Figlewski, S., Frydman, H., & Liang, W. (2012). Modeling the effect of macroeconomic factors on corporate default and credit rating transitions. International Review of Economics and Finance, 21, 87-105. Fleming, W.H., & Stein, J.L. (2004). Stochastic optimal control, international finance and debt. Journal of Banking & Finance, 28, 979-996. Gonzalez J., & Hinojosa, I. (2010). Estimation of conditional time-homogeneous credit quality transition matrices. Economic Modelling, 27, 89-96. Hammer, P.L., Kogan, A., & Legeune, M.A. (2007). Reverse-engineering banks’ financial strength pattern using logical analysis of data. Rutcor Research Report (RRR 10-2007). Hirth S. (2014). Credit rating dynamics and competition. Journal of Banking & Finance, 49, 100-112. Hischer, J., & Nosbusch, Y. (2010). Determinants of sovereign risk: macroeconomic fundamentals and the pricing of sovereign debt. Review of Finance, 14, 235–262. Hu, M., Kiesel, R., & Perraudin, W. (2002). The estimation of transition matrices for sovereign credit rating. Journal of Banking & Finance, 26, 1383-1406. Izadikhah, M., & Farzipoor Saen, R. (2015). A new data envelopment analysis method for ranking decision making units: an application in industrial parks, Expert Systems, doi: 10.1111/exsy.12112. Koopman, S.J., & Lucas, A. (2005). Business and default cycles for credit risk. Journal of Applied Econometrics, 20, 311–323. Kovács, G., Marian, M., & Vizvári, B. (2002). Viability results in control of one-dimensional discrete time dynamical systems defined by a multi-function. Pure Mathematics and Applications, 13(1-2), 185-195. Lei, A.C.H., Yick, M.H.Y., & Lam, K.S.K. (2014). The effects of tax convexity on default and investment decisions. Applied Economics, 46, 1267-1278. Maltritz, D., & Molchanov A. (2014). Country risk credit determinants with model uncertainty. International Review of Economics and Finance, 29, 224-234. Mirzaei, N., & Vizvari, B. (2011). Reconstruction of World Bank’s classification of countries. African Journal of Business Management, 32, 12577-12585. Moreira, C., Calado, P., & Martins, B. (2015). Learning to rank academic experts in the DBLP dataset. Expert Systems, 32, 477–493. doi: 10.1111/exsy.12062. Nickell, P., Perraudin, W., & Varotto, S. (2000). Stability of rating transitions. Journal of Banking and Finance, 24, 203–227. Özatay, F., Özmen, E., & Şahinbeyoğlu, G. (2009). Emerging market sovereign spreads, global financial conditions and U.S. macroeconomic news. Economic Modeling, 26, 526-531. Pantelous, A.A. (2008). Dynamic risk management of the lending rate policy of an interacted portfolio of loans via an investment strategy into a discrete stochastic framework. Economic Modelling, 25, 658-675. Pesaran, M.H., Schuermann, T., Treutler, B.J., & Weiner, S.M. (2006). Macroeconomic dynamics and credit risk: a global perspective. Journal of Money, Credit and Banking, 38, 1211–1261. Schumacher, I. (2014). On the self-fulfilling prophecy of changes in sovereign ratings. Economic Modeling, 38, 351-356. Surma, J. (2015). Case-based approach for supporting strategy decision making. Expert Systems, 32: 546–554. doi: 10.1111/exsy.12003. Wang, Y.M., & Fu, G.W. (1993). A new multiattribute decision-making method based on DEA thought. Journal of Industrial Engineering and Engineering Management, 7, 44–49. Wilson, T. (1997). Portfolio credit risk, Part I. Risk, 111–117. Xu, J., & Zhang, X. (2014). China's sovereign debt: A balance-sheet perspective. China Economic Review, 31, 55-73. Zopounidis, C., & Doumpos, M. (2000). Multicriteria Sorting Methods. 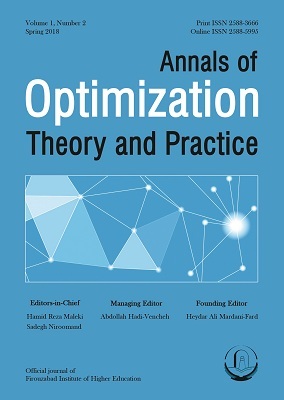 Encyclopedia of optimization. Academic Publishers. Zopounnidis, C., & Doumpos, M. (2002). Multicriteria classification and sorting method: A literature review. European Journal of Operational Resaerch, 138, 229-246.